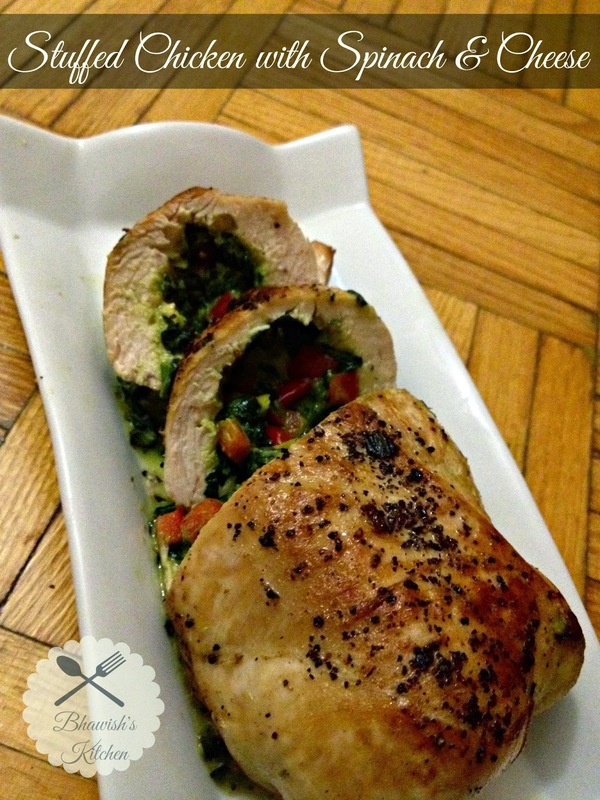 Stuffed chicken is made with spinach, bell peppers, cream cheese, mozzarella cheese with Italian seasoning filling. It is very simple to make. 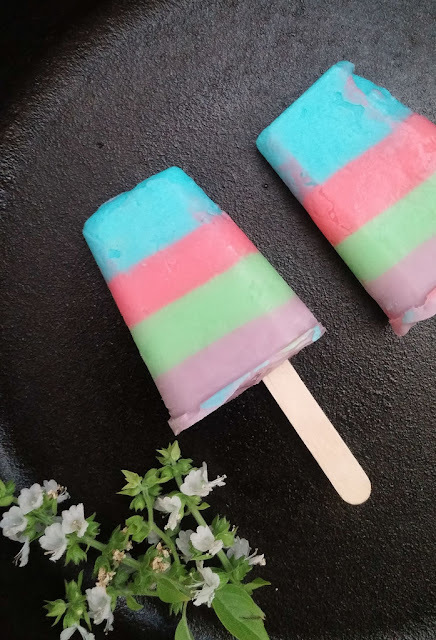 It looks as well as tastes so great.. The outer chicken meat is juicy and tender.. The inner stuffing is gooey and yummy.. Try this recipe, I am sure you will like it. .
Wash spinach with running cold water and pat dry them well. Remove the stem and cut them into small pieces. 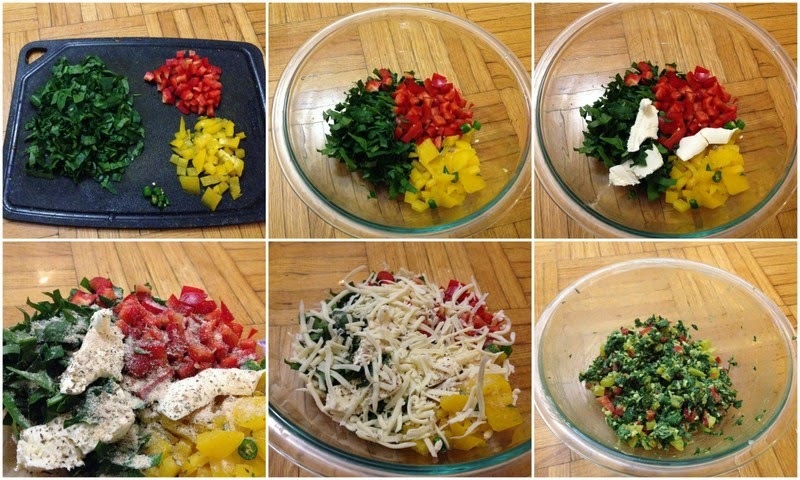 Chop bell peppers into finely. Take large mixing bowl, add in all the stuffing ingredients and mix well with hand and set aside. 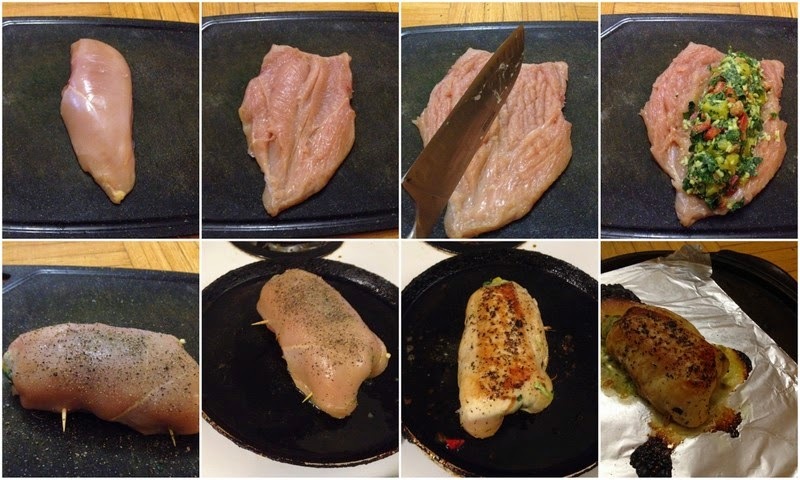 Place chicken on cutting board, slice it in the middle to get like butterfly shape. Gently pat the chicken with back of knife. Sprinkle some salt and pepper on both sides of chicken. Add filling in the center of chicken. Fold chicken over filling and secure with toothpicks. Heat oil on pan / tawa. 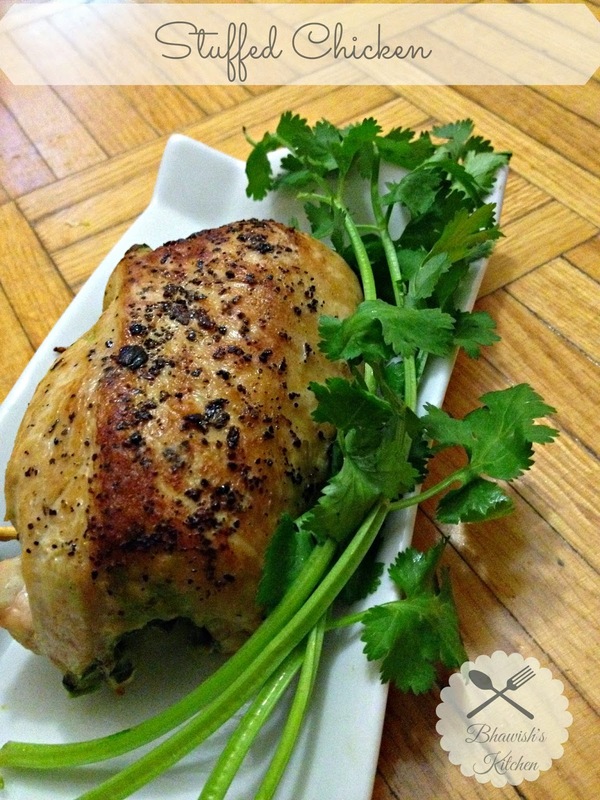 Fry the chicken on all sides until it turns to golden brown color. Now transfer the chicken into oven, cook for 20 minutes.